The fact that it’s been sixteen long years since the last V-Rally is enough to make some of us at Push Square feel positively ancient. Eden Games’ 1997 original was always seen as a friendlier rival to Codemasters’ excellent off-road sim Colin McRae Rally. It only makes sense in 2018 that, upon its return, it should be considered alongside McRae’s successor title, and what many believe to be the ultimate off-road sim, DiRT Rally. Of course, V-Rally 4, like its predecessors, is a far more arcadey affair. Ultimately, Kylotonn’s newest title – coming off the back of some relatively well-received WRC releases and supported here by some of V-Rally’s original creators – is not up to the same standards as its competition. The focus here is different, however, eschewing realism in favour of unabashed fun, and it’s a far more accessible game as a result. 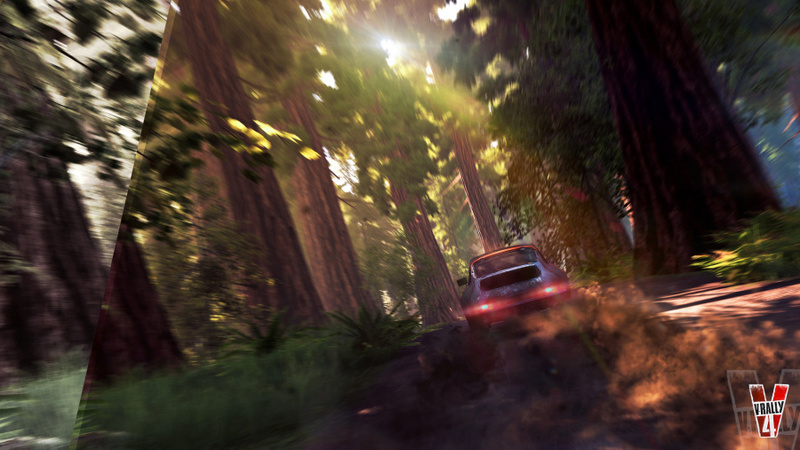 Let’s put it this way: at least in terms of gameplay, V-Rally 4 is the DriveClub to DiRT Rally’s Gran Turismo. The feel of the game couldn’t be more different from its competition. Much like the series’ original, V-Rally 4’s cars spring, dance, and twitch through the courses. Expect a period of adjustment to really get to grips with the way it handles. Vehicles – of which there are plenty from almost all of the major rally manufacturers over the last few decades – all feel different from one another. This is also true between groups, be that RallyCross, Hill Climb, or traditional Rally events. This distinction isn’t as severe as in DiRT, but it’s enough to stop you passively moving between cars and groups without thought, even if the driving itself is quite forgiving. It’s worth remembering that V-Rally 4 aims for a more arcade-ready sense of fun, not authenticity. No further can this be highlighted than in the cars’ models. You won’t find precise designs with finely detailed interiors here. In fact, while there’s an in-car view, all you’ll find is a generic interior fit for all. Oddly enough, you’re unlikely to want to play it in this mode anyway; it’s a strange beast that feels more natural from a distanced third-person perspective. Courses also feel wildly unrealistic, but not necessarily in a bad way. 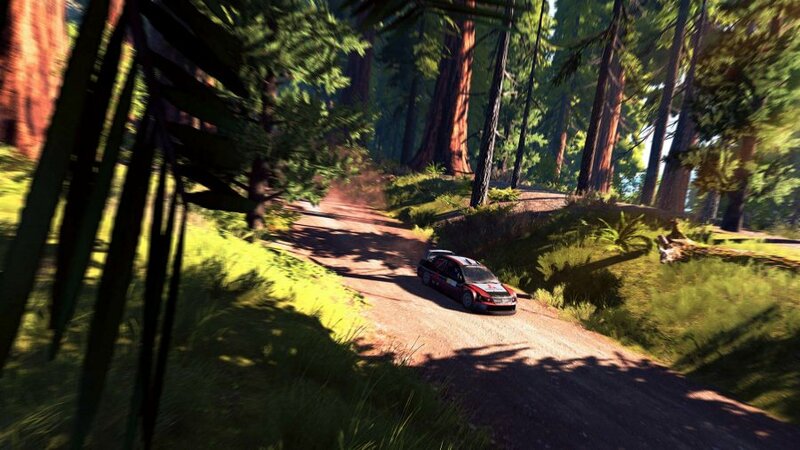 Again, it’s here that the developer has done a fine job of sprinkling some of that V-Rally magic from yesteryear, relieving itself of the licensing burden placed on the developer’s previous WRC titles. Courses offer a broad variety of terrains and obstacles from across the globe, including locations such as Malaysia, Siberia, Monument Valley, and Japan. 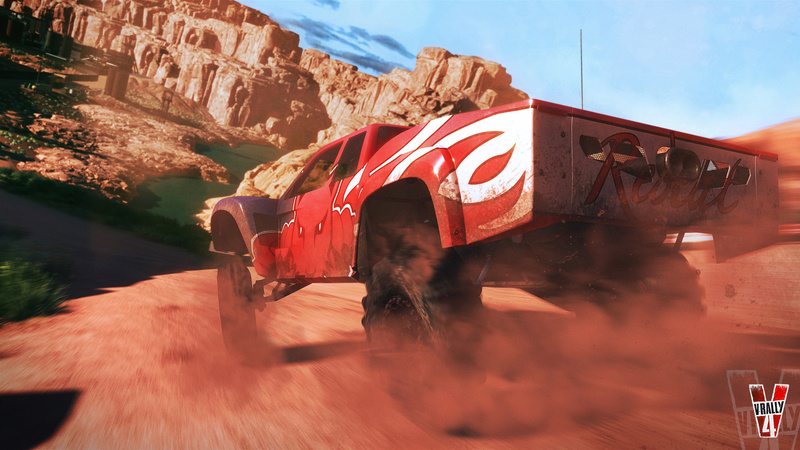 Sections are long and varied, and it feels like driving through the colourful old tracks of the original game. One minute you’re careening through fields of colour in rural Japan, followed by square turns on concrete through small Japanese villages; the next you’re winding through the dusty rocks of Monument Valley, death-pulling drops on either side, or sliding through the muddy Malaysian jungle. Colourful and diverse, then, but stop for a moment to take a look at the environment, and you’ll notice flat bits of geometry, ugly textures, and visual bugs aplenty – achieved with no shortage of pop-in terrain. Hey, we said it had that V-Rally magic! You won’t be clamouring for a photo mode here. Of course, you won’t think much of it as you careen down the course at break-neck speeds, and you can’t bemoan a lack of attempted spectacle. 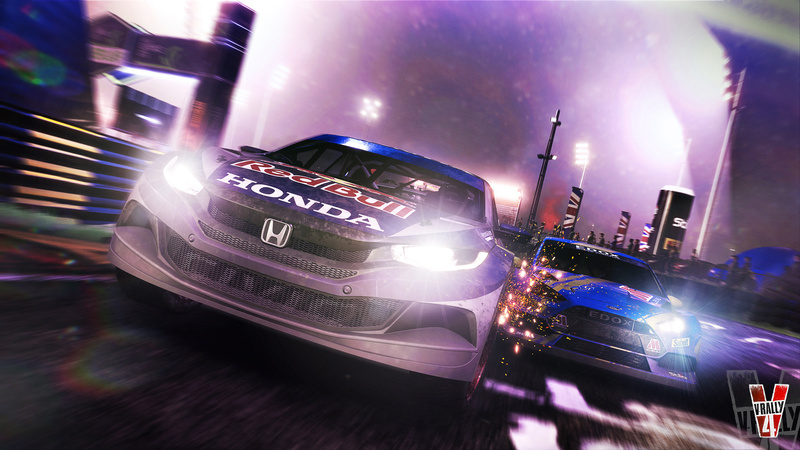 The majority of your time with V-Rally 4 is spent in its version of a career mode. There are many similarities here to what you’ll find in DiRT 4. Buy your car with credits from victories, take on sponsorships and related tasks given by manufacturers and sponsors, and do as well as possible in the given events. You can choose locations from a world map and championships become longer, stretching events from all over the world as you progress. Any damage accumulated over the course of an event can be fixed within allotted time-slots between tracks and must be paid for out of your winnings. Oh, and you also need to put together a team of engineers, again like in DiRT, only here it feels fairly pointless because it fails to really tie it into a meaningful progression system. Unfortunately, the career mode is a bit of a slog. It’s a shame because there’s enough going on with the courses that a little more direction and thought into this part of the game could have made for a fun diversion alongside whatever your primary gaming habits tend to be. Instead, V-Rally 4 is unlikely to hold interest for long. Couple this with some irritating music – there's just a single track that plays on endless repeat in the career mode menus – and you might just see this as the invitation you need to kick yourself back out again. 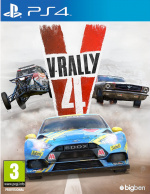 Once you get to grips with how it handles, V-Rally 4 is a competent and lightweight arcade-style off-road racer with a fair bit of charm that harkens back to the series’ foundations. Aiming for spectacle and variety in design, it looks and feels like a 2018 V-Rally game. However, a shallow and disappointing career mode, irritating music, and a handful of visual and gameplay bugs means you’re likely to grow weary in a short space of time. 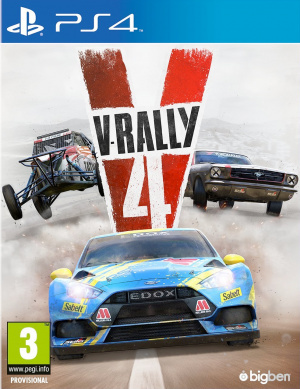 "V-Rally 4 is the DriveClub to DiRT Rally’s Gran Turismo"
Somewhere, V-Rally's marketing manager is being stoned to death for not coming up with that! With F1 2018 currently satisfying my racing fix, and Forza Horizon 4 just around the corner it's gonna have to be a pass from me for V-Rally 4. Great review, but shame about the final conclusions you draw, because I was kinda hoping for this to be better. Nice review. Any info on G29 support/handling? If anyone has played it, how does it compare to Gravel as an arcade style rally game?